Also don't forget to check out Cobras new update at the end of his Cintamani grid article about how to get one and more important information! Awesome. Security breach deflected! Event is coming really soon I believe. ... or good at sarcasm. or just being positive as we all should be doing. I am very grateful for Cobra’s earth liberation movement. In my living Area, many people are still suffering because of human relationship. And then, in my country murder cases and suicides has been reported by media day after day. Therefore, even if plasma toplet bombs and the head of Yaldabaoth entity remain in some degree, please start EVENT even a day or a hour sooner. I hope that all people and animals live in peace and calmness as soon as possible. A new Operation Inherent Resolve report has upped the official civilian death toll of the US-led aerial bombing campaign in Syria and Iraq by more than a third, confirming 484 civilian deaths – while activists claim the figure is several times higher. “To date, based on information available, CJTF-OIR [Combined Joint Task Force] assesses that, it is more likely than not, at least 484 civilians have been unintentionally killed by Coalition strikes since the start of Operation Inherent Resolve,” a statement released on Friday reads. According to the coalition, in the period between August 2014 and April 2017, 21,035 airstrikes were carried out, which could be broken down into 44,330 separate engagements. The US-led coalition fighting daesh in Syria has called on forces loyal to President Bashar al-Assad to move away from a crossing on the border with Iraq. Coalition aircraft dropped leaflets onto areas held by Syrian regime forces near the Zaza crossing, in the first incident of its kind. The leaflets demanded pro-Assad troops to leave the border crossing with Iraq “as soon as possible”. This comes a few days after warplanes of the US-led coalition hit a convoy of Syrian regime’s army forces. The convoy was targeted while trying approach the Zaza crossing. The height of US arrogance in the above report. So the sable rattling continues and seems to be escalating. I guess "soon" and "enough" has the same meaning? Would like to see some serious exposure, and some kind of relief for those hardest hit by the cabal. Venezuela, Yemen, Gaza, Bahrain, the people in places like that are in desperate need. Please ... I will get on my knees and beg, that the LF/RM do what ever you can to cut these people some kind of slack. this brings me to my point about the petrodollar and it's relevance to the carnage being created in the middle east. controlling the flow of, and the global sale of oil is what keeps the u.s. federal reserve in business. the u.s. banks need petrodollars to maintain their survival. without petrodollars, the u.s. federal reserve banking system and the u.s.a. corporate government would have no money. they would become insolvent. this is why the u.s.a. corporate government is fighting for it's life in the middle east, because it is literally fighting for it's life. if global demand for oil should fall, so would the wealth of those who control the u.s. federal reserve system. “For the first time solar is cheaper than coal in India and the implications this has for transforming global energy markets is profound." in conclusion, i am saying the conversion of global energy demands is the underlying cause for the u.s. presidential administration turning their backs on alternative and renewable clean energy. this may also be the motive behind all the saber rattling being spurred by the u.s. / i'm going "out-on-a-limb" here, but is the cabals' life being threatened the cause for the isidic security breach that cobra keeps reporting? all the talk about so-called climate change, whether it is real or not, is a distraction being used to divert the public's attention from the shift that is happening in the global energy marketplace. Syria, Yemen, Lybia, Palestine, Venezuela...Africa are on my mind everyday. I hope the Event comes soon ,for them and Them first.Those people are fighting against the whole West + Israel, Saudi Arabia. Everyday, innocent people are killed. It has to stop soon and very soon. According to one of my sources which I highly trust, the end of all that crazyness will come in November 2018. Does that date resonate with anybody? Bilderberg group meeting this weekend ... oh to be a fly on the wall! Wonder if the RM has got someone in to listen in ... perhaps Cobra might have some intel on this. Would like to know what the fear level in the room is ... if any. Or ... are they just as arrogant as the US behavior toward Syria. Please let us know when it truly is "enough" or "soon" in our terms ... like meaning TODAY ... or in a few HOURS. That's when a lot of us want to know that the RM/LF have had "enough" ... or something will happen "soon". Thank you for your time.
" Focus on the breakthroughs and not the breakdowns. Because you could walk around as say oh did you hear about his break down or look at that breakdown or that is the greatest breakdown ever. And people are not focusing on the breakthroughs. And so searching out the breakthroughs and reinforcing the breakthroughs and posting them and talking about them and keeping them in your mind, is not only how we build the future but we manifest it and make it real. That’s what I would say, focus on the breakthroughs, manifest the breakthroughs, and forget about the breakdowns, the garbage men will be here to take them away tomorrow or today or instantly in this rapid world." Look at all the US politicians attending this year ... can you say conflict of interest? No regard for the people at all. @Unknown ... I understand where he is coming from, but it is difficult to look away and not focus on it when so many innocent lives are involved, and are suffering for no sane reason. @ marie no date resonates with me. 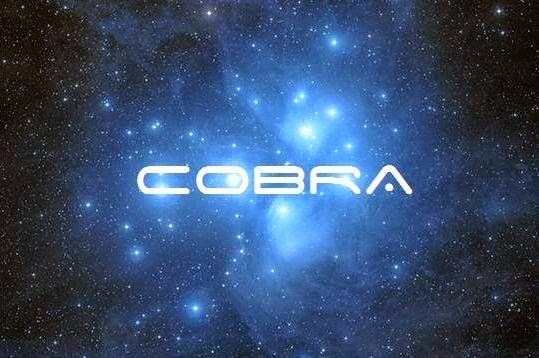 Cobra has made it clear no one in the physical knows the exact time of The Event ... only the Source has that information. It will be a surprise to all including the RM/LF with The Event takes place. Spiritoo, what I mentioned earlier was not about the Event. It is more about Ascension, going up towards the Light.As this person says: We are going to see even more madness going on in this world and things will slowly get better until it really becomes obvious to all of us by november 2018.This is not channelling. This healer has had contact from up above since her childhood that asked her to help healing people.Last october she was "called" to go to Mount Shasta where she experienced something totally out of this world and since, she tells us more. 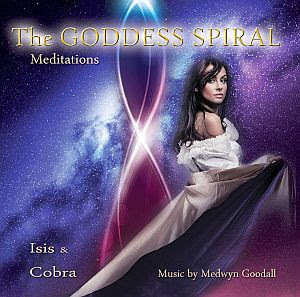 She is french and in the spiritual circle, she is the only one I fully trust as well as Cobra. One way in which us as surface population could be greatly helped, and put in a position of making a greater difference in the ascension process and the end of suffering we are enduring in this present stage of reality, is through sustaining the exposure process of the actions of the dark forces. Light forces can reach far beyond humanity's conventional means of detection and exposure regarding all activities that on a small o large scale are hindering the full expression and the ascension process of free willed beings on earth, whether these activities be undesirable, unethical or far worse. As mankind as a whole, as well as people in key places of power, are starting to act according to their conscience, great benefit would come from uncovering negative hidden processes of resource-draining, sabotage and deception that may be deeply rooted and hidden, thus placing surface population in a position to take appropriate action for good. We all are in dire need of seeing these issues being tackled, and we are in dire need of change in our lives and relief. La presentación de Alfred Lambremont Webre, JD, MEd serâ sobre nuestro Universo, el Multiverso, el Omniverso. Sending love enlightenment power protection and support to all beings places and situations in need. Amma. Thank you light forces. You are magnificent. We are all magnificently powerful together. Victory Now. Yes to global enlightenment now. Nothing but a hoax, meu amigo mineiro. An excuse to accept this HORRIBLE PRISON! There is nothing to develope, only the destruction of this damn Matrix!! Aurora 2012: A Manual for Preparedness by Ishtar Antares is a deeply moving and profoundly uplifting book about our soul and our planet's future. Not many seem to understand what 2012 is really about. Yes, 2012 is the end of the cosmic cycle. But it is a time that deep in our souls we have all been yearning for...a marker in time deeply encoded into the very essence of our beings...this is not a prophecy of doom and gloom, but rather an invitation for all of us to experience the birth of something very beautiful... How can we prepare? Let this beautiful book give you many answers to these deep questions. This is not shallow channeled material as you can mostly encounter in New age circles but rather a deep, precise and transformative message with many practical techniques and never before published information about our origins, Atlantis, twin souls, soul mates, Light body... At the beginning there is also an interview of the author as to certain important questions. First part of this book is a collection of cosmic communications which were given by galactic beings of light between 1993 and 1995. These communications give a deep spiritual guidance for the Ascension process. Ascension is the ultimate goal of human evolution, the crown of spiritual growth. Second part of this book is a summary of instructions for creation of living mandalas. 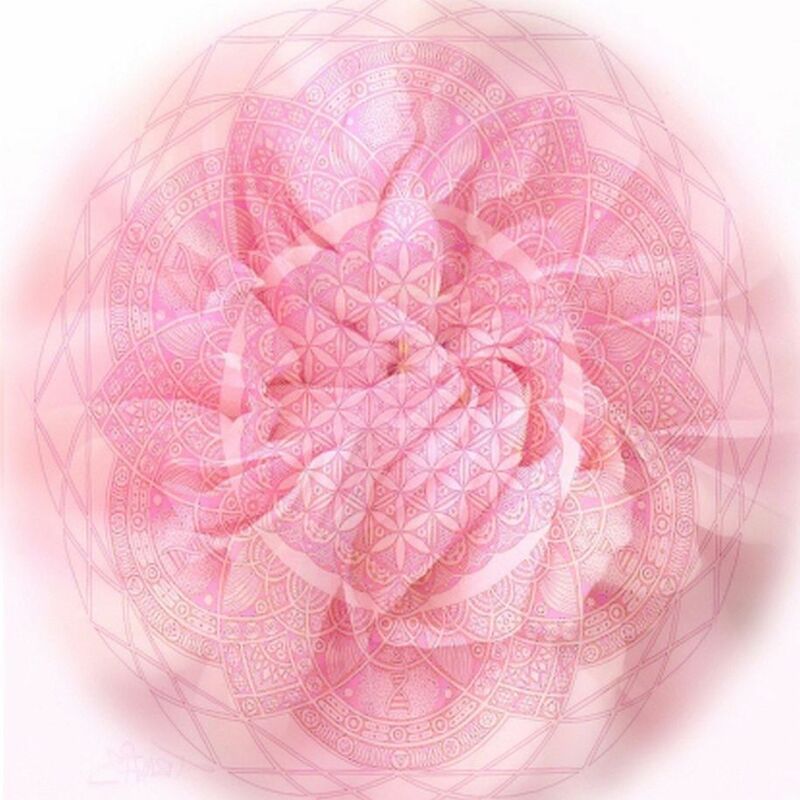 Living mandalas are focused spiritual groups inside which group Initiation and Ascension process is taking place. This part of the book was written between 1996 and 1997. It can be used as a manual for creation of a real living Mandala. Solara is one of the true visionaries of our time. She facilitated the twenty-one year cycle of 11:11 Planetary Activations in which hundreds of thousands of people participated. She has traveled widely all over the planet giving talks, workshops and special ceremonies. Her message for us is to fully awaken so that we may LIVE TRUE LIVES AS TRUE ONES. Currently residing in South America, she is the author of six beloved metaphysical books. someone should have invited solana to participate in the meditation... so will her followers. I was reading the first edition book one night, with an open mind but no real belief. I got the part where Solara explains the steps to go through to get your Angelic Name. So I start going through the steps in my head, up to the point where she says you then hear and feel your Angelic name. Wham! My body shook and tingled, I heard a voice saying my Angelic Name! I kid you not! So....I'm sitting there, still shaking ten minutes later when my wife walks though the door and stops dead, staring at me. She says "Why is there a sparkle all around you." Ok....suddenly I'm taking this seriously! 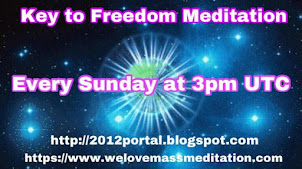 Solara comes to Australia a few months later and I take a clairvoyant friend to see her free introductory talk. Doesn't everyone have a clairvoyant friend? I ask my friend what does she think. When does the inner earth start to take some action to stop the war in syria and stop the US and the daesh etc? They are now at risk as the cabal has tech to reach them. They are no longer safe as they have been for 18M years? That is a long time..are we to assume humans on earth did evolve to 4D or 5D millions of yrs ago and gained the ability to go inside earth and create living space?? How else did this happen so long ago? Are we not related to the inner earth races? I am sure they are doing a lot of work in the non-physical. Unfortunately, things cannot happen as fast as we like. Cobra has detailed why in his interviews. The Ascended Masters retreated from the surface of the planet as it was occupied by the dark forces one Platonic year (26,000 Earth years) ago. "Everybody is watching her, but she's looking at you." This is going to be me and the Goddess. Also buy one of my Keshe devices, it's the real deal. Check out the "Experiments" tab on my website where we prove it beyond a shadow of a doubt, using ice and plants. Buy a Health Pen, they're actually priceless. The Liberation Forces seem intent on awaiting the solar flash before commencing with the Event. The solar flash would trigger ideal situations like humans suddenly awakening and thus no longer under the control of the matrix. In addition, they seem intent on using the solar flash like a proverbial flash grenade to arrest the cabal. They can do things to speed up the liberation of Earth Prime like by arresting the cabal before the advent of the solar flash. The solar flash is essential for our liberation yet for those activities not depended upon it should be undertaken beforehand. Putting all of your proverbial eggs in one basket may not produce the ideal outcome on the day of the solar flash. Organizing our liberation on astronomical events seems like reading tea leaves. i hope our allies are smarter than what you are suggesting. it can be so frustrating dealing with liberating forces with whom we have such limited communication. A broader perspective is called for if understanding is sought...we are as microorganisms, part of an infinite macroorganism, as are our allies and our adversaries, all moving in conjunction with grand purposes at galactic and universal scales. I don't believe that our friends and allies are here to trigger or cause the event, so much as to bear witness to it, and to do what they can (which is a lot) to facilitate the transition and mitigate the side effects. Our allies in this fight are beings of the light who are further along the evolutionary path than ourselves. Those of the light always honor the free will of all third density beings (free will being the entire point of this phase of evolution). Failing to preserve free will quite literally weakens them, and their evolutionary advancement along the light path makes them highly unlikely to wish to anyway. Besides, how many variables pertinent to this equation are they including in their calculations that we're just not aware of at all? Never heard of this before until it showed up out of the blue earlier on. LOL @ger_sey you crack me up! The Bluebirds of Happiness sounds good to me! Greetings high loved Masters! 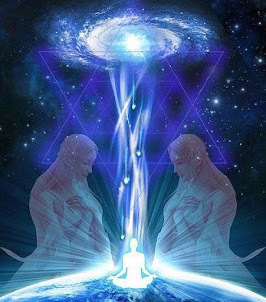 Recently we saw some light workers generate any contrary energies, the energies that support the advancement of Forces of Light on the surface. The Forces of Light in no circumstances support or incite the rivalry between workers of Light. Beloved Master, you, Lightworker who is somehow feeling asked to support some kind of rivalry between Lightworkers who are doing their job, immediately stop and realize that you are not acting with light impulses but of energies contrary to Light! 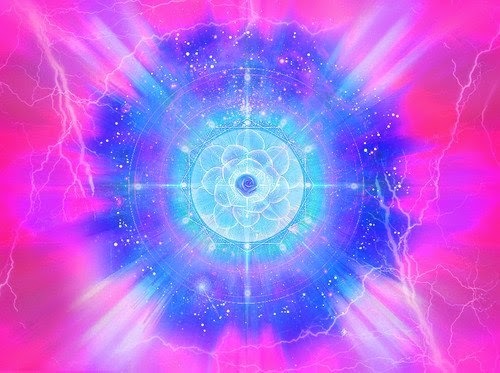 Light unifies the Lightworker! All are one family! Together we are always Stronger! The forces of darkness are in turmoil at this time, for the Light advances rapidly compressing them on the surface and completely cleaning up the planet from any negative influence! An old maneuver of darkness to dominate the scene is split to master! They have always used this maneuver to weaken the Workers' groups of Light and thus use them as his soldiers to fight other Lightworkers! My Master, there is so much to do on this planet! Is another to work for the Advancement of Forces of Light! I know you are tired of the old energy, the old mistakes, the farces! I know you're tired of being hurt and fears any possibility of being cheated again, this is in your Akashic Records. Now it is time, beloved worker of Light and Love, know that the Forces of Light are the majority and this is the time for you to use all his strength to purge once this old energy that has lasted for so long here. Do not be one that perpetuates the Old Energy of rivalry, competition! The Forces of Light do not act this way! Collaborate beloved teacher and master! Beloved COBRA is a Being very committed to the Forces of Light! It makes a very serious work not only with The Portal blog , which is just the tip of the iceberg of your great work! This Being has no intention of bringing any misinformation to humanity, instead it acts in favor of the complete lighting all the negativity installed here! Your posts are brought information of the Resistance Movement and other beings of light! The beloved Gabriel Radio Lunar is a recipient of the divine energies delivered to them through many beings of light and transmits with integrity and loveliness all the information received through the Star System and Seeds blog! 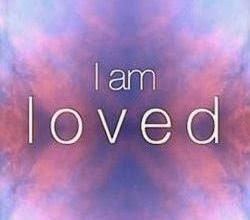 He is just one of Universal Love transmitter, so with every Light worker committed to the Forces of Light! 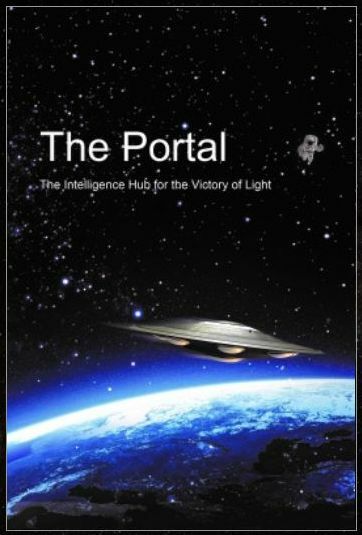 The Star Seeds blog supports The Portal blog in joining forces to support the work of the Forces of Light! There are a minimum of sense of rivalry, competition or any sense of separation! We are here to add light and love energy! Enloved Lightworker, you have been instructed constantly on the attempts of the forces of Darkness in destabilizing the groups of light workers! Do not fall more in those old traps! There is no time to give attention to the old tricks of darkness! Use your energies Beloved Lightworkers to come together and create more light Chi on this planet! Use your energy to support those that move the energies of Light here on the surface! Is another pillar of Light to anchor light on the Grid! We are together, beloved Lightworkers! Trust your intuition! Always use your loving filter when they receive any information no matter the messenger but the message! If you do not agree with some information not just assimilate, to go! I am so sick and tired of hearing your accusations about us NOT doing our best! If there's anybody to be accused of NOT DOING their duty, nor taking care of the situation that we have to endure day-by-day.... IT IS YOU, and NOT any SINGLE ONE of us! You don't even understand a simple thing how difficult can it BE leaving in this hell, under unbearable conditions; controlled, programmed and kept in the darkness, on all possible, and IMPOSSIBLE, PHYSICAL AND NON PHYSICAL PLANES. And you're DEMANDING us to stay on high vibes? If you would have taken the neccessary ACTIONS 26,0000 years ago, and have stopped the darks going after their DEMAND to have the whole Solar System under their quarantine- NON OF THESE WOULD HAVE HAPPEND! PERIOD!!! Having Galactic wars for hundreds and thousands of years, You should have learned something out of them. You should've KNOWN BETTER, how tricky and deceptive they can be.... Yet, you believed they would keep the promises, and CONTRACTS they made? TRY TO LEARN FROM US! DO SOMETHING TO SHOW HOW MUCH REALLY YOU LOVE, AND CARE FOR US! ALL WE NEED IS TO LIVE IN THE WORLD WITH LESSER PROBLEMS, SO THAT WE CAN STAY IN HIGH VIBRATIONS. SEE? THAT'S ALL WE NEED. YOU WOULDN'T SURVIVE HERE EVEN FOR A WEEK! WE ARE WAY MUCH STRONGER WARRIORS THAN YOU CAN IMAGINE. YOU HAVE MUCH TO LEARN FROM US!!! angel, you make a lot of sense... the benevolents wouldn't survive here for a week, they have much to learn from us - outstanding. there have been many times in recent years where i have lost my patients with the e.t.s that are trying to rescue us. i've had to use all my abilities to see their perspective on this difficult situation and, still, i could not always justify their actions, or lack thereof. for too long a period of time, conditions in duality have been allowed to get so far out of hand until it finally became unmanageable. the greatest strength of evil has been the Light's naivete. Triple discernment with your beloved master family message. Hmmmm...... Putin is not a chicken. HE's a true Warrior of Light, and He WILL talk it out, as he does all the time. Yet, I wonder how much of the whole interview will be missing..... Or... will there be anything left from the REAL interview? Or..... ARE WE, FINALLY, GETTING CLOSER....? There's also a 4-night series with Oliver Stone interviewing him coming up. I can't say I'm a fan of Putin and his government, but I will take Cobra at his word about him. One does not have to be perfect in order to work for the Light. a sign of light at the end of the tunnel. Not if the US does an all out attack which they seems to be planning. “Unless the West and other countries and their allies, their puppets, support those extremists in... a very massive way, I'm sure the worst is behind us,” Assad stated. Thank you for sharing this very important information and to remind of the most important thing to be successful together. We are so close, so close to the final push, to the final victory of truly full liberation and utopia on our precious Gaia! Please, light workers and light warriors, stay strong, stay focused. Let us go into our love, into our light, into our breath, into our stillness... Please heal and be blessed. Please overcome and cure all of your fears and sicknesses, whether it be sicknesses of the mind, body, or spirit. Please find and hold that perfect balance, unclogging all negative blockages within your being. We could have all the peace and abundance with no more fear and no more suffering, and that we will have! The only huge thing to occur to shock the masses is The Event itself. Nothing else is going to do it. I believe too that something huge has to happen. Disclosure about the satanic rituals could be like an electro-shock because the victims are mostly children and also because it is about the Elite, politicians, magistrates and so on.And most of all, It goes very far beyond what people could imagine. In fact, they don't even imagine, people don't have a clue. actually, there will eventually be a global black out will serve a WONDERFULL purpose in reuniting communities. is it 2025 yet... are we there yet! the good guys with "and buts and ifs". .
these are not stories to be share generations after generation if so only to relay a lesson. indeed. these are stories.. about survivers oppressors and enablers.. I highly recommend reading this interview with Rion who is the founder of Team Light and so much more. He and his team will teach you exactly how to activate yourself for your mission. 3 months ago I was a mess with energy blocks and built up rage and hostility - now I can see into the other dimensions. It happens quick because it is about remembering not learning. What steps did you take to get there? Did you purchase a soul session/s? I'm certainly a mess. I don't know if you noticed, but my message was not directed to you, but to cobra. Sending a little love to our light forces and RM. thanks you guys and gals! PS - Saw "Wonder Woman," the movie last night! Wow! the divine feminine, guardian of humanity, conquering darkness. ...just be glad to be here!" (p.s.) Thanks, Universe for the Divine Intervention! They also learned to communicate across the barrier and maintained contact with the Earth man by electro-magnetic means, which they carried on for over 25 years. During that time, over 1,000 hours of verbal dialogue was recorded on audio tape and preserved. These experiences are reported in a 305 page illustrated book titled UFO CONTACT FROM PLANET KOLDAS, A Cosmic Dialogue, authored by Carl van Vlierden. The DALs discovered the Pleiadians before Earth and learned to get along with and to work compatibly with them, who were already freely traveling in space. The DALs shared their technology with the Pleiadians which then allowed creatures of our universe to visit the DAL Universe in Pleiadian ships. The DALs discovered Earth through the Pleiadians and their interests here. 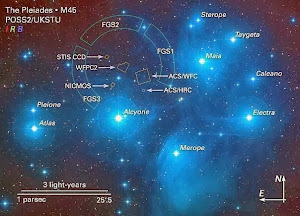 Sfath was a Pleiadian who handed Meier over to Asket for development and preparation for a future Pleiadian plan. Who's interested in some heavy stuff? What is a soul? The soul is a geometric, elliptical crystal, based on the principles of hyperdimensional physics. Inside it of course, there are two centers and the trapped divine spark, which, like thousand others, has been caught by the fringes of the Divine Flame (the Blessed Islands) by the use of golden triangle nets and trapped in this virtual dark reality, with the illusion that there is movement. Question to the resistance and/or Cobra, is the coming solar eclipse tied to the event in some way? And on Thursday he brought me the Gift of Grace. I'm gonna let my little LIGHT SHINE! Three and a hald years ago I had a guy sitting next to me who later turned ou to be a member of the dark side. I wanted to play this song and he said he'd leave if I played it. Being the nice guy I am I was so polite as to not to do that back then. But now I know who who you are, so let's see how you and your buddies will like this, numbskull. As always we are more focused on opening your heart and calm and instruct your mind. also through the territory of the former Atlantis. According to commentators, most cropcircles from May 2017 point to this solar eclipse. That's the 21st of Aug. not the 12th. neither the Light nor the dark knows what it means to stand in the divide between these two polarities. it is only the earthbound Light-worker who knows such a fate. who is the strongest of these three? I've struggled with the divide to a major extreme. I'm not talking about myself here, but certainly anyone else who has stood in the divide between light and dark is, by far, the strongest of the three. No doubt about that. It is a VERY isolating position, which even many of those within the Light don't understand. Rather than offering support, many just leave you hanging to fend for yourself. I am surprised there are people who have never experienced depression before. Very, very strange. Enlightenment and depression seem to go hand in hand in this deep dark density. Wanting to leave everyone and everything to go sit on a mountain in outer Mongolia reeks of super sadness. We are the strongest most brave warriors in the universe - I think that is undisputed. Cobra, does this work? Do you recommend this? I don't trust this pleiadian alliance blog. They came out of nowhere with no explanation and copied Cobra's page style almost exactly. They also repetitively say "My Dears" way too much! Anyone willing to offer a detailed explanation of who they are? I wanna see more than a vague polite careful acknowledgement from Cobra. I personally thought Cobra was quite clear with endorsing this site, but maybe someone needs to ask him about it again. I've personally not noticed much of anything different using the protection program, but that's kind of true with everything for me at the moment. Or maybe I've missed the signs. It took me a long time to get my free cintamani stone when the the first batch was sent out. I sent an email, forgot about it, then finally got a reply over a month later. They have a ridiculous amount of requests to sort through. It takes a long time to process everything. I don't think this disqualify you, don't give up, maybe your mail lost somewhere, give it another try! My friend got reply from him. Thanks for the reply guys. Much appreciated. Yeah, I don't know. As I said, I received an immediate reply from him Friday. He said he'd ship me a stone asap and needs my address. Since then, nothing. Sent two emails that day, and an email this morning. You are probably right I'm overthinking this, and I imagine the guy is incredibly busy. My girlfriend said the same. It's just based on my past experiences, it's typical for me to jump to the conclusion that I may have said something wrong. I'll put it out of my head, as I have a trip across the country to see my friend tomorrow to look forward to. Thanks for the reassurance. the syrian army with the backing of the eastern alliance is preparing to enter the city of raqqa. 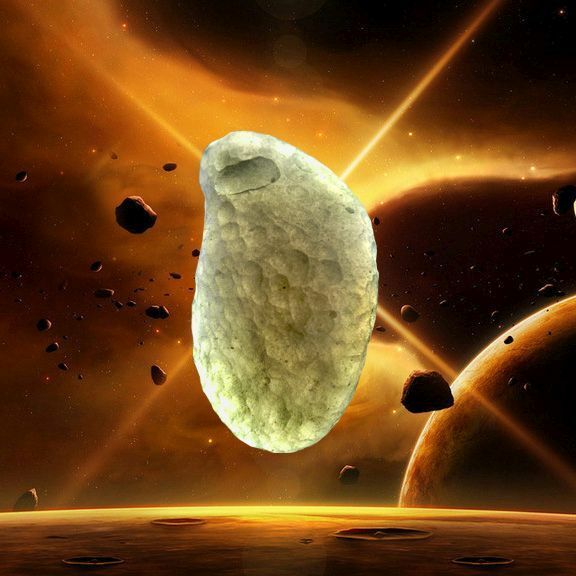 this, aparently, represents a potential for certain victory in the syrian/galactic war. if we have learned anything from this endless struggle between these two forces, it is that the dark never concedes and will never experience defeat. knowing this, the Light Forces should be prepared for a blow back of epic proportions from the dark side. "... the Syrian troops are on the verge of entering Raqqa province." rather than take a wait-and-see attitude, the Light would be well advised to employ a proactive, premeditated, multi-front, multi-level strategy to contain the dark even further when pressed to their limits. the Light should be using the dark's impulse to overreact as a means of further containing them into a certain defeat. my concern is that the Light is content fighting the dark in a war of attrition. the Light seems to have all the patients in the world to whittle away at the dark bit by bit until some mythical Event can change everything, once and for all, and we can all go home and live happily-ever-after. is it any wonder that the dark has proven themselves to be so tenacious and successful at enduring a force as powerful as the Light? as i'm sitting here observing this never ending drama, i'm thinking how much it reminds me of reading the news. all i get is information that is presented to me about how the world i live in is being handled, managed and ultimately created. no one ever asks me for my input. i never have a say in the matter. the same holds true for the LF/RM who are, and have been, fighting the dark forever. how can the Light, which has not experienced duality, expect to end the presence of darkness? one must know their enemy if they are to be successful in defeating them. the Light is far too benevolent and concerned with preserving the fallen ones, which ultimately takes a tremendous toll on the most innocent. i am quite certain that, in my little earth-based mind/consciousness, this battle could have been over and done with many times. it is the short-comings of both sides of this battle that keeps it raging. the ones who suffer the most are the ones caught in the middle with no voice. the Light has decided to withdraw from their effort of global meditations because it was causing too much harm to Light-workers. instead, we have resorted to planting stones. this is a fine strategy, i agree, but it is also another example of how the Light top-toes their way through this maze of darkness. had we been planting cintamani stones and doing our global meditations in sync with the eastern alliance advance on syria, we may have made much better progress by now. 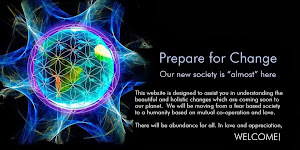 "Kryon Reveals How the Pleiadians Came to Be and Describes Many Inventions Humanity Will Develop"
What you must do is install wordpress and use any normal theme. Then there is a plugin called anspress. We have created our Question and Answer website using the anspress plugin. It just merges in perfectly. Hope it helps you.